Late vernal phase witnesses profusion of blooms. Trees laden with inflorescence, branches weighed down with flowers , wild flowers making appearance in every inch of the ground… seems, like, waking up from a phase of dormancy to survive the harshness of winters, each is trying to outdo the other in the grand show of colours and fragrances. Morning air blissfully laden with the aroma of mango blossom and orchestrated by the bird songs is the ultimate food for the soul – so heavenly, so divine. The soaring temperature is also affecting the avian fauna. Most of the migratory birds have left their winter abode. 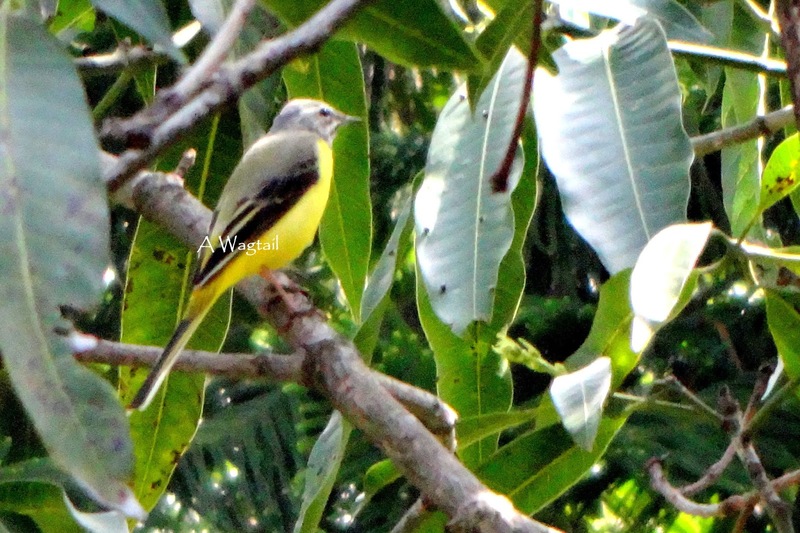 We spotted a pair of wagtails yesterday. What agile creatures they are…flitting from branch to branch whole day. It took almost an hour of hiding under the gooseberry tree to get a shot of the beauty. Beet season is almost at the fag end. 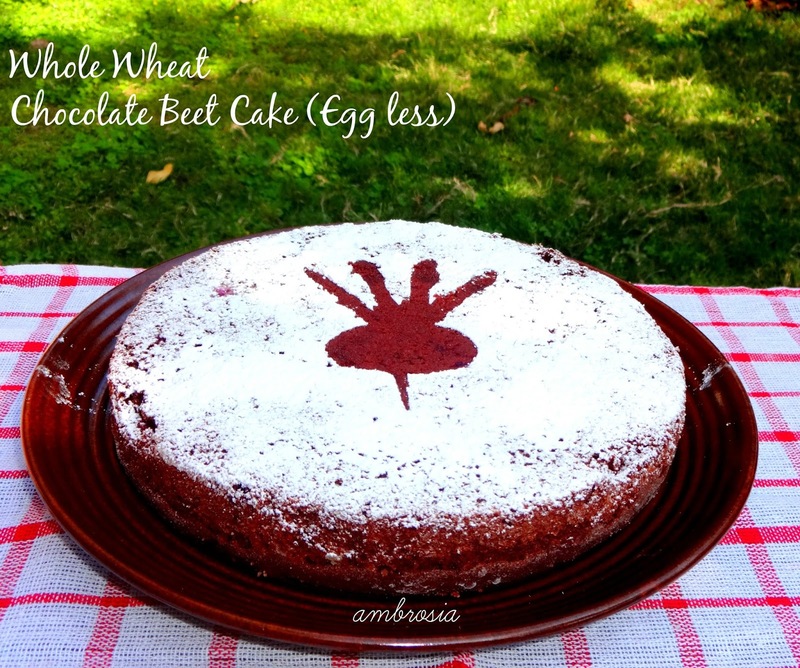 Trying to make the most of it, I baked a Whole Wheat Beet Chocolate Cake. 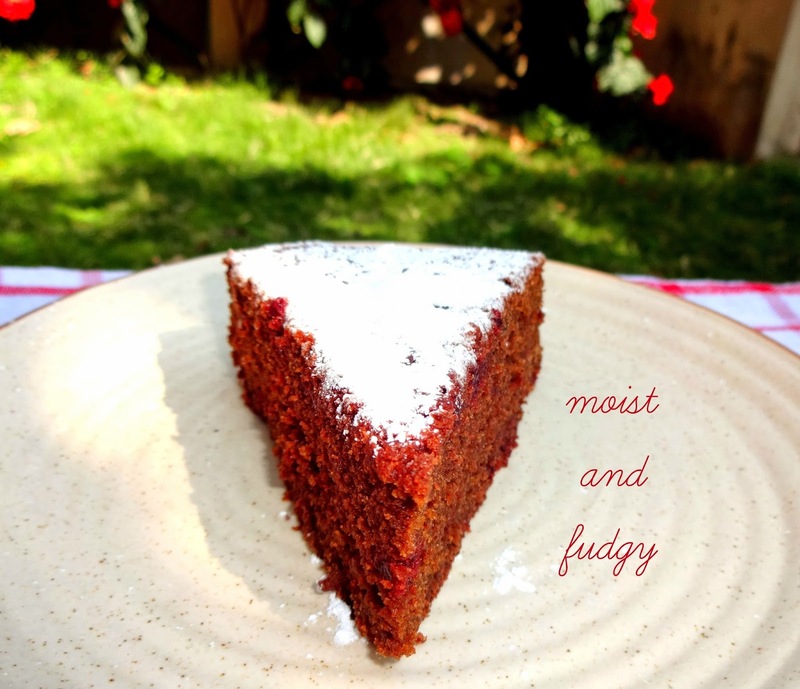 Moist and fudgy, it is a delicious cake, almost guilt free. Preheat the oven to 180 degrees C. Grease, dust and line one 8 inch round cake pan. Whisk together whole wheat flour, cocoa powder (pass cocoa powder through a strainer to remove lumps), baking soda, baking powder and salt. Beat butter and sugar till light and fluffy. Add buttermilk and pureed beets. Mix well. Add dry ingredients to wet ingredients. Mix gently. Do not over mix. Pour the batter in the prepared cake tin. Bake for 25 to 30 minutes or till the top turns brown and a toothpick inserted in the center comes out clean. Remove from cake tin after 10 minutes. Run a knife along the edges and remove the cake. Cool in the rack. Slice next day. Sprinkle icing sugar before serving. Looks so soft and delicious cake dear ..very colorful !! 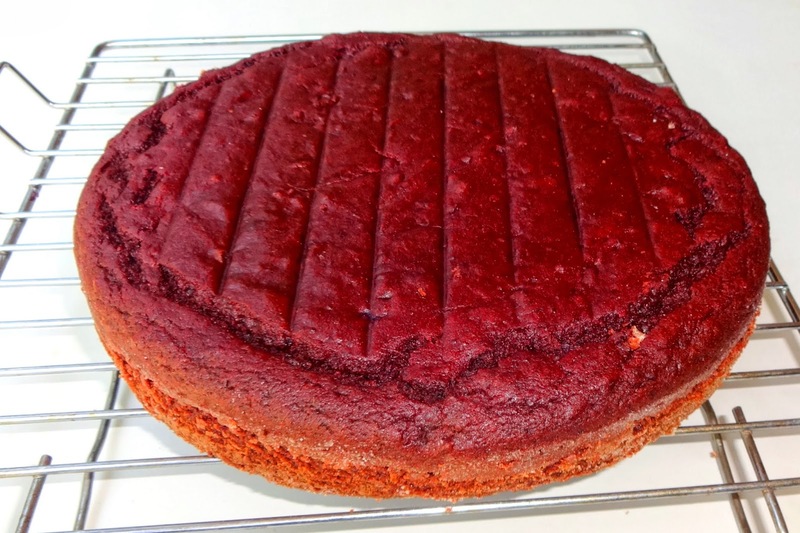 soft and delicious cake.. Nice healthy cake..
can we substitute muscavado sugar with normal brown sugar? Yes Chaitra, You can use brown sugar or white sugar in place of muscovado sugar. why do u use more of baking soda den baking powder in wheat cake recipe, usually we do vice a versa in all purpose flour ? is dere any scientific reason ? pls help. Hi Dinesh, Soda is generally added to eggless cakes. Egg less cakes invariably have buttermilk or curd as one of the main ingredients. Baking soda reacts with curd or buttermilk, helps the cake rise better and makes it softer too! To make buttermilk, add vinger to luke warm milk or to the milk at room temperature. Stir for a while and the milk curdles. Can i add equivalent amount of oil on place of butter??? Yes Khyati. That would make this cake really healthy and low fat. Curd can be added in place of buttermilk?? Yes. Beat curd till smooth. Add water to get buttermilk like consistency. Use.